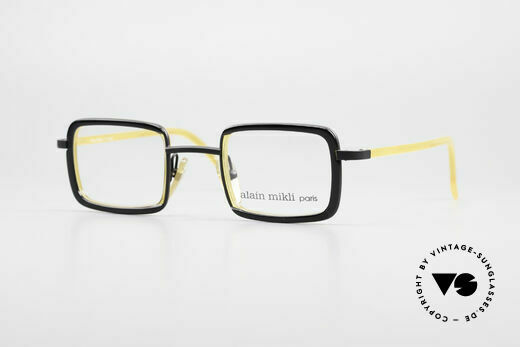 This basic frame shape can be found with all classic vintage brands. The larger percentage of these old original glasses was designed and marketed for men. Since a rigorous differentiation of square shapes within our product line would leave only few possibilities for making a choice, the category “square” leaves room for interpretation. Perfectly square glasses-frames are a rare thing, so the sectioning of our big range of vintage sunglasses in this case makes sense. The core of this category is comprised mainly of classic men’s sunglasses. 40g fine gold in 1000g metal - incredible top quality! lightweight and accordingly pleasant to wear! the red "FUN" sun lenses can be replaced optionally! NO retro eyeglasses; an old original from app. 1993! yellow sun lenses are light mirrored; 100% UV protect. NO RETRO FASHION, but a 30 years OLD ORIGINAL! just precious & 1st class comfort - true vintage! NO RETRO SHADES, but an OLD 80's ORIGINAL! of course a rare 90's original, NO RETRO GLASSES! NO RETRO GLASSES, but an authentic 1980's rarity! antique sunglasses by ESSEL of the 60's; truly vintage! rarity with real gold & sun lenses with 100% UV protect. NO RETRO sunglasses, an old ORIGINAL from the 1980's! NO RETRO FRAME, but a rare old 100% ORIGINAL! marine design (distinctive Fred) in high-end quality! NO RETRO, but ORIGINAL 80's; M size 56-17, vertu!! 'Freudenhaus' means "cathouse / house of pleasure"
NO retro specs, but a unique 30 years old ORIGINAL! NO retro specs, but an old original from 1990! indescribable top-quality; You must really feel this! a true masterpiece of quality and design; Must Have! 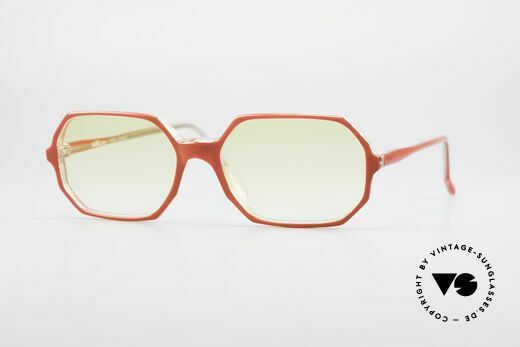 every frame has a name "Hank" & a year of birth "93"
ruby colored frame (for ladies and gentlemen), Top! true vintage designer piece in high-end quality; vertu!! timeless combination of color & design; a classic! NO RETRO SHADES, but a 1980's Metzler ORIGINAL! the material looks like real Amber; really unique! NO RETRO specs, but a 33 years old ORIGINAL! NO retro glasses, but a precious old ORIGINAL! NO RETRO SPECS, but an old 80's ORIGINAL! NOT the re-issue, but the 45 years old 70's ORIGINAL! high-end quality (made in Germany) & 100% UV protect. NO RETRO eyeglasses, but a 30 years old ORIGINAL! outstanding workmanship (You must feel this! ), vertu! NO retro eyeglasses, but a real 30 years old unicum! new old stock (from 1983) in an unworn condition! 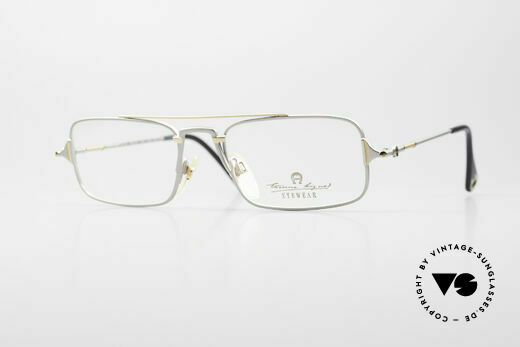 interesting frame finish in a kind of "antique gold"
with a slightly silver MIRRORED lens = "panorama view"
NO RETRO sunglasses, but a genuine unworn ORIGINAL! 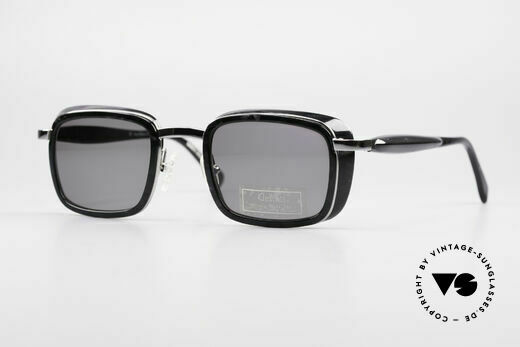 with a slightly bluish MIRRORED lens = "panorama view"
slightly tinted lens (light gray shade) = "panorama view"
model of the old Ray-Ban "1940's Retro Collection"
NO RETRO sunglasses, but a true vintage original! Bausch&Lomb G15 quality lenses; 100% UV prot. vintage 1990's designer-sunglasses; made in U.S.A.
NO "retro Italy Ray-Ban", but an USA Original! 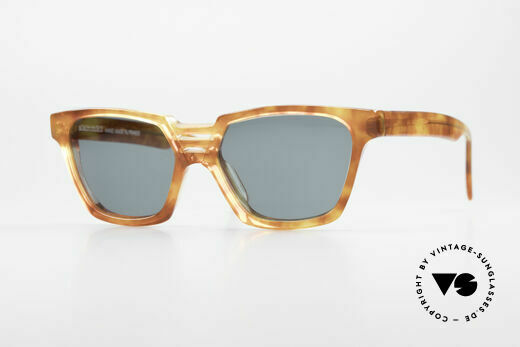 OLD, timeless unisex model; made in U.S.A.
original (made by Bausch&Lomb), NO RETRO! NO RETRO sunglasses, but an old ORIGINAL! true VINTAGE Ray-Ban sunglasses - made in USA! NO RETRO sunglasses, but a rare old B&L original! a timeless classic with new lenses; 100% UV prot. unique handmade rarity in excellent unworn condition! 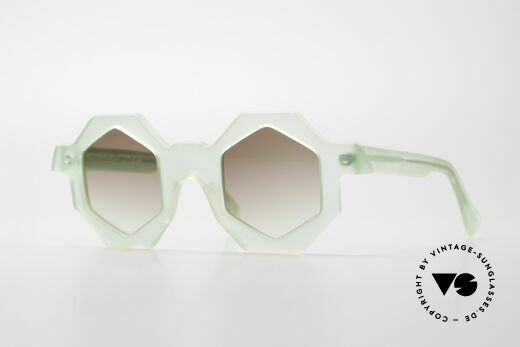 never worn, one of a kind; Theo frame for all who dare! fancy 1990's metal eyeglasses in top-quality; art object! the top model of the ROYAL-SERIES; a MONSTER piece!